Fraser, a small city in Iowa, showed a lot of heart earlier this year when officials there took a stand against puppy mills. The city council banned the retail sale of dogs and cats bred in commercial breeding facilities. Even though they have a population of around 100 people, they hope the new legislation will make a dent in the puppy mill industry that plagues Iowa and the rest of the country. There are over 250 active puppy mills in the state and, annually, these facilities ship more than 100,000 puppies to stores all across the nation. That amounts to 400 puppies per puppy mill per year and sadly that doesn't count the animals that likely passed away because of the famously terrible conditions at these farms. Aside from the terrible conditions that dogs and cats endure at these facilities, puppy mills also contribute to our nation's serious pet overpopulation problem. When people choose to pay big money to purchase baby pets rather than adopt them from shelters there is an enormous financial incentive to breed as many puppies or kittens as possible. And unfortunately, many of these same animals will end up in pet rescues later on and perhaps be put down because they can't find homes. Fraser has taken the first step in ending the terrible industry of puppy and kitten mills in their state. But one city can only do so much. Now it is time for the entire state of Iowa to follow in their footsteps. This isn't just a pipedream, it is possible. 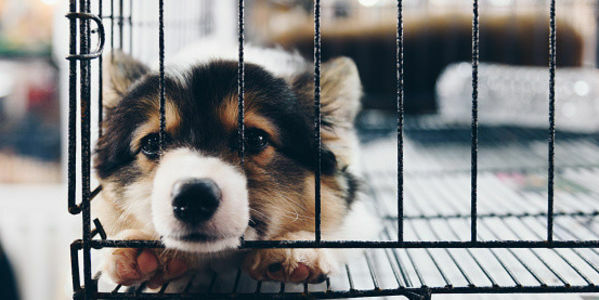 The same month that Fraser passed their ban, the state of California became the first state in the nation to prohibit the sale of puppy mill pets in pet stores. Iowa can do the same and ban the retail sale of commercially bred pets altogether. Sign the petition and tell Gov. Kim Reynolds and the Iowa General Assembly to take action now.